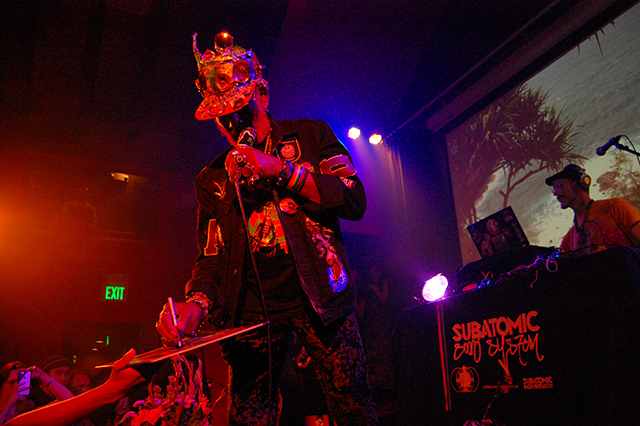 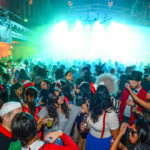 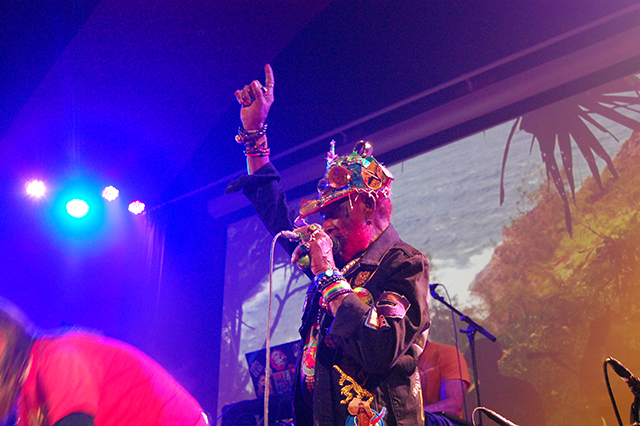 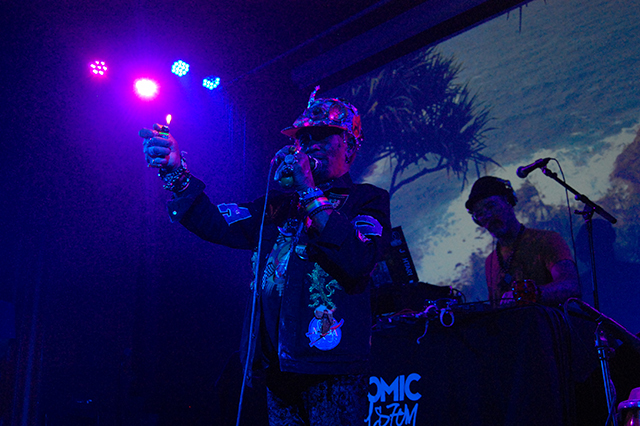 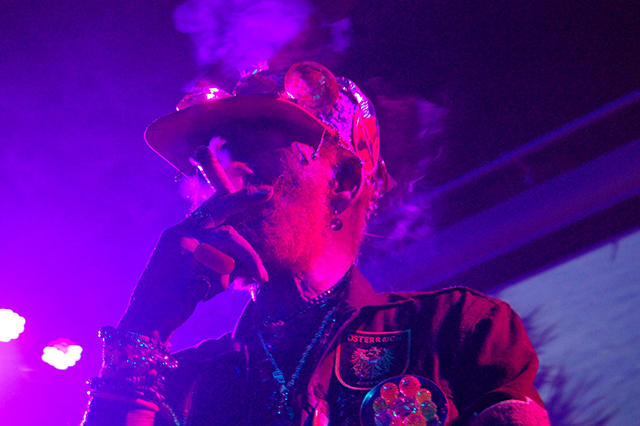 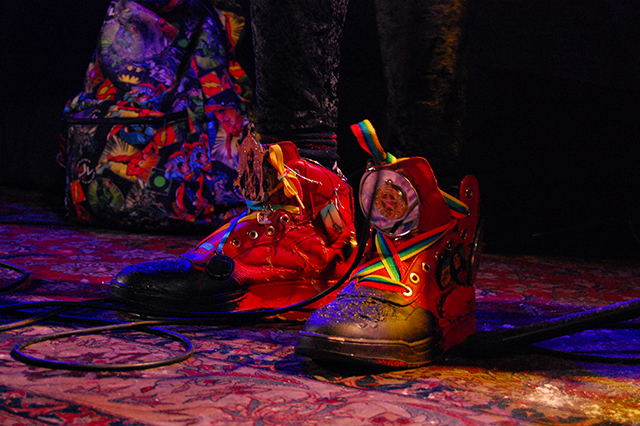 What do you call someone who has surpassed the title ‘living legend?’ This title seems most fitting for world-renown reggae producer Lee Scratch Perry who held a musical mass of sorts last Thursday at The Chapel down in the Mission. 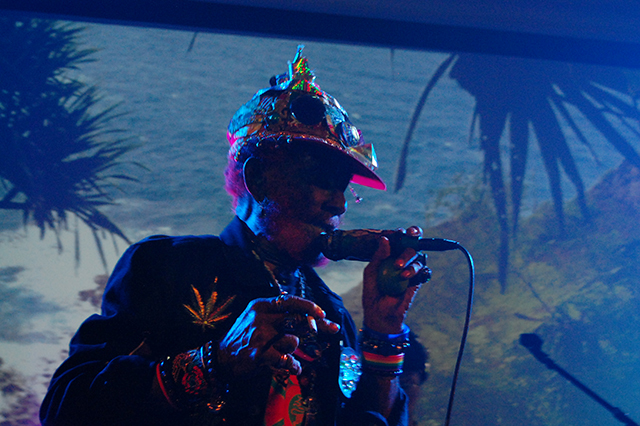 His legacy as the innovator of dub music and his 50 + years producing many Jamaican artists like Bob Marley to working with Paul McCartney was on full display at the sold-out show celebrating the 45th anniversary of his groundbreaking album Blackboard Jungle. 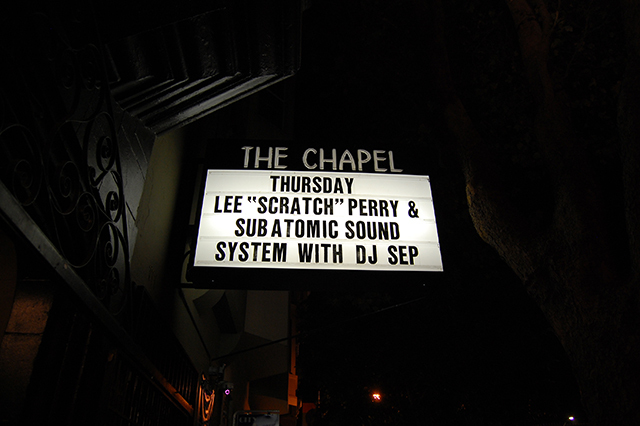 Known for outlandish rhymes and cranking up the delay/echo effects, Perry’s iconic voice reverberated off the cathedral ceiling all night. 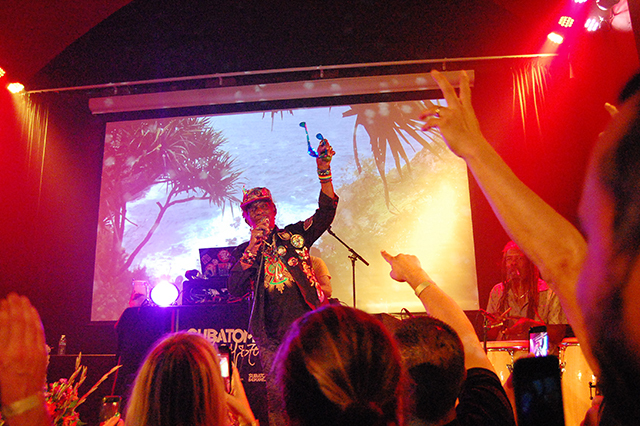 As he jumped back and forth across the stage between a bouquet of flowers and a bunch of bananas that had dozens of burning incense sticks shoved into them, Perry recanted classic’s like Marley’s “Exodus” plus cuts from Blackboard Jungle such as “Dread Lion” to a captivated crowd. 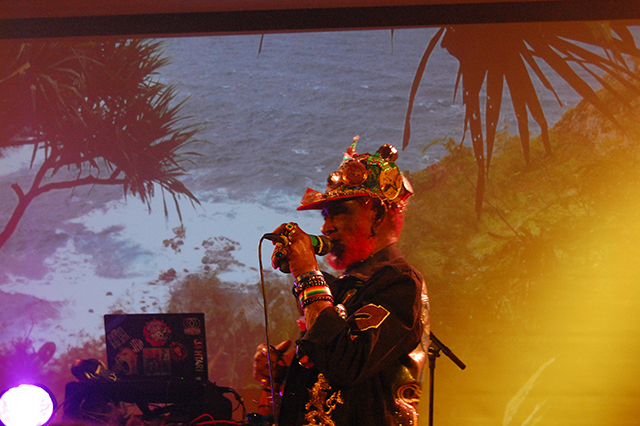 In the early 1970s from his legendary Black Ark studio in Jamaica, Perry crafted a sound and a recording style that would reshape the musical landscape as we know it. 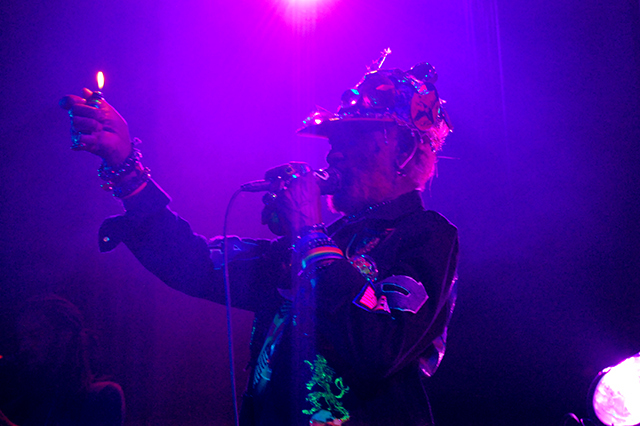 Dub truly comes from Perry’s unique recording experiments where he would do things like fill several water jugs at different levels and play them to create an echoing snare drum that he would later mix with the original snare to give it depth. 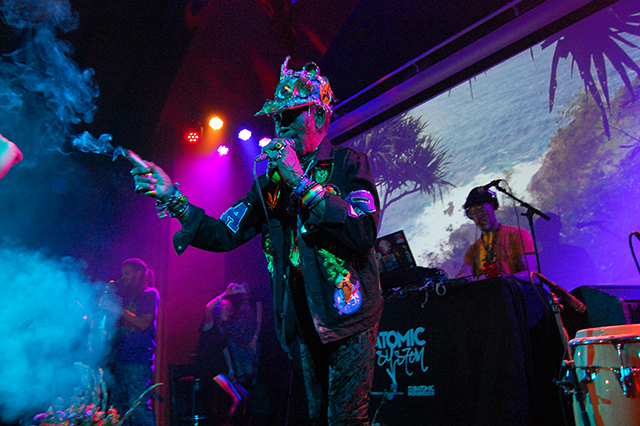 Relying heavily on strong, thumping bass lines to carry the groove, keyboards and swirls of strange effects, Perry invented a way to play with space and time like no other producer before him. 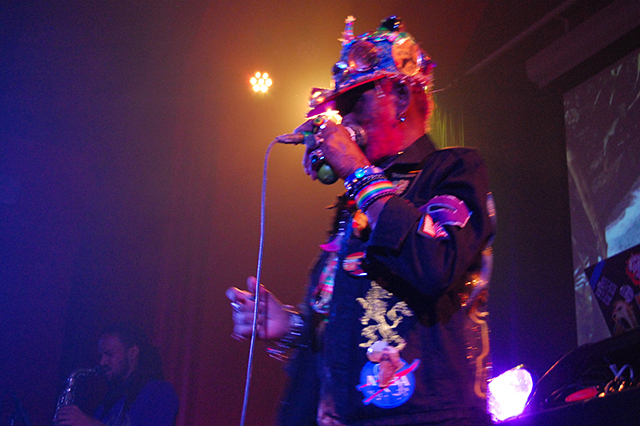 He took the crowd on a journey back to through his richly layered cult album, Blackboard Jungle, at the haze-filled Chapel complete with the occasional lion roar. 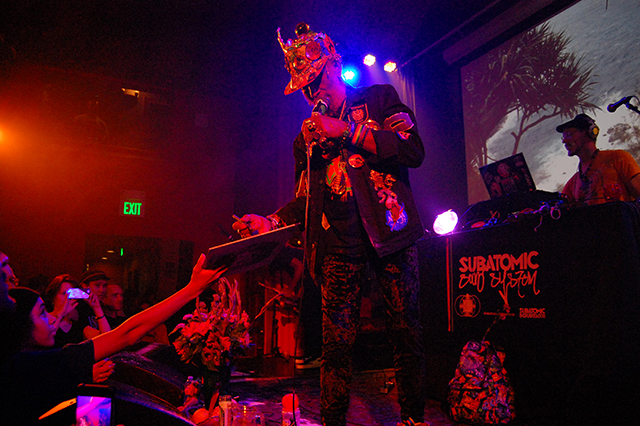 He put a sonic spell on the crowd, at one point pausing to pull a vase of white powder from his special backpack. 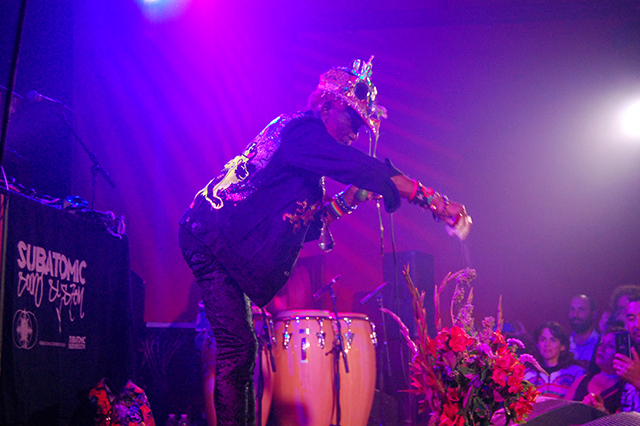 He then proceeded to sprinkle it on the crowd while proclaiming, “I am a magic man! 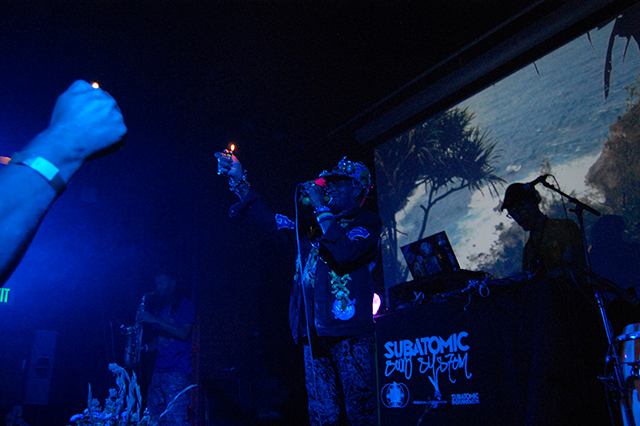 ” A young kid was also seen pushing through the crowd with a vinyl copy of Blackboard Jungle waving above his head. 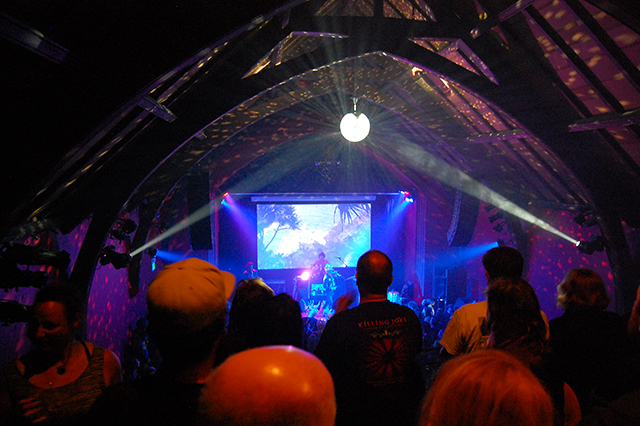 People parted as he made his way to the edge of the stage getting Perry’s attention for an autograph. 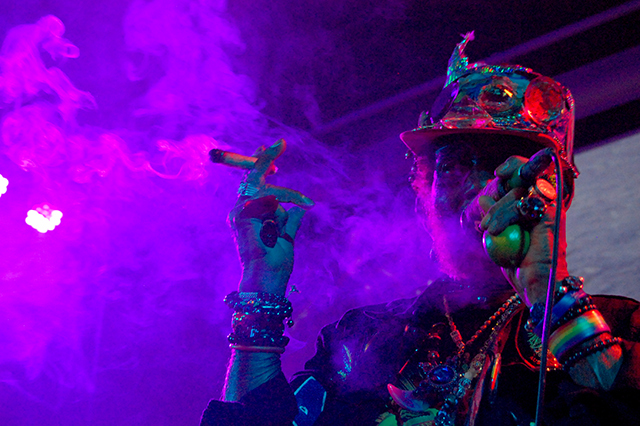 The sound deity received all sorts of gifts that flowed up to the alter; fruit, joints, toys and stuffed animals. 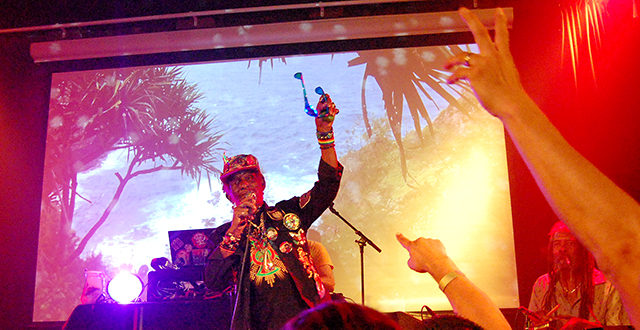 All the while, the crowd swayed to his hypnotic island rhythms. 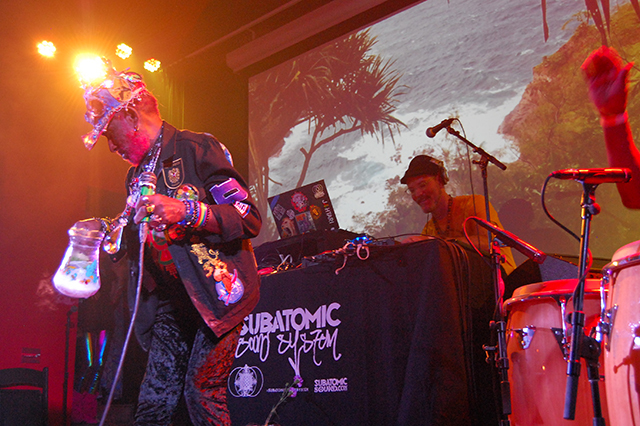 His band Sub Atomic Sound System set the vibe and kept it going all evening; blending live Conga drums, melodica, saxophone and Perry’s signature samples throughout the show, set against a projected tropical backdrop. 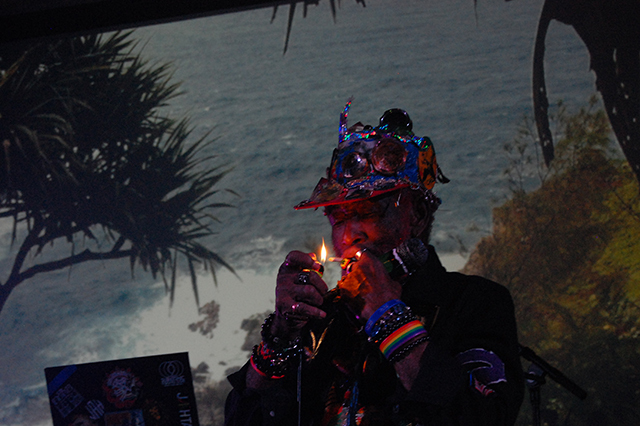 Known as The Upsetter and praised for decades as a pioneer whose work would go on to influence rap and electronic dance music the world over, now more than ever, he reigns as the wizard of drum and bass music. 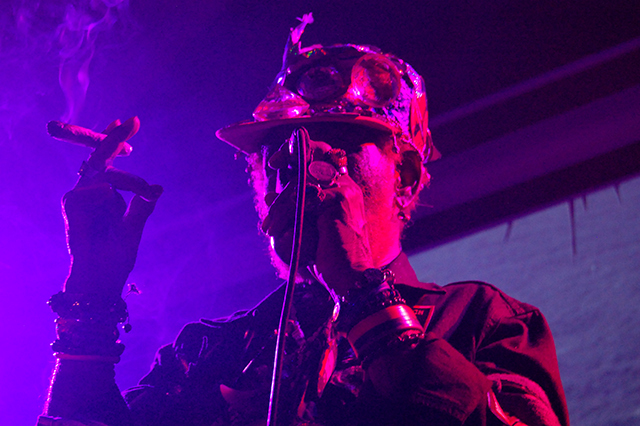 Perry’s age finally fits the context of his mystical priest-like reverence, and his command of the room reminded us that he’s still in a groove that’s not slowing down anytime soon.